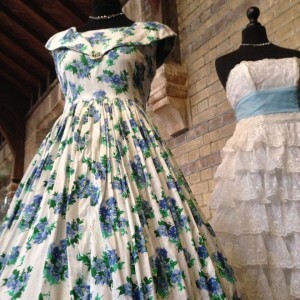 If you like vintage clothes and antique, going to a Vintage Pop-Up Fair is time well spent. A bit like travelling back in time. It’s perhaps not as cheap as the markets where you have to go through a lot of rubbish to find a pearl in the sand, but definitely not as expensive as buying from a posh vintage- or antique shop. Fortunately it’s all true. I’ve gone to so many of those fairs and never been disappointed. I’ve bought gorgeous German 50′ earrings for 6 pounds and beautiful handbags for a10-15 pounds. 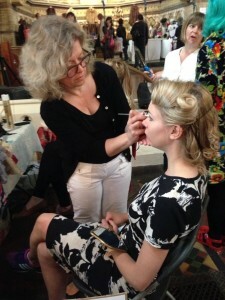 You can read more about those fairs on their website Pop Up Vintage Fairs London and check out the amazing Pincurls and Pout as well.